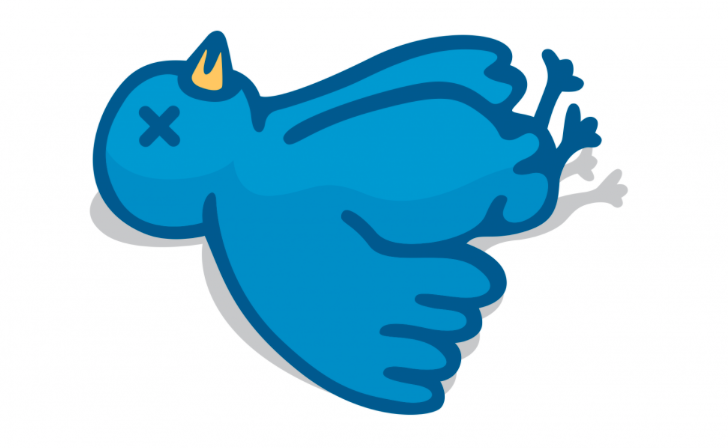 You can audit the authenticity of Twitter accounts using free apps. These aren’t new ‘things’ and if you click on the ‘Source’ links beneath each one, you can check out your own Twitter account. 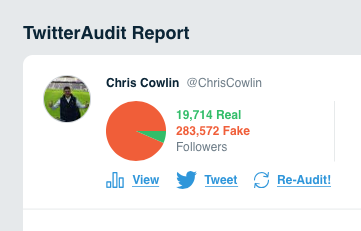 As you can see, despite the variance, the overwhelming result is that the @ChrisCowlin account is followed by accounts that get routinely flagged up as either fake or inactive. This is a baffling business, however when I mentioned this on Twitter, this itself flagged up more strange results. 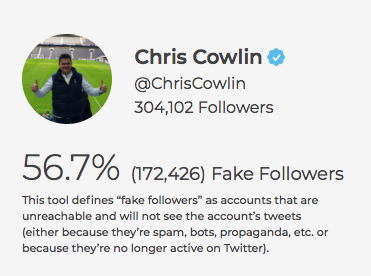 These fans hadn’t had any online dealings at all with Chris, yet they claimed to have been blocked by him. 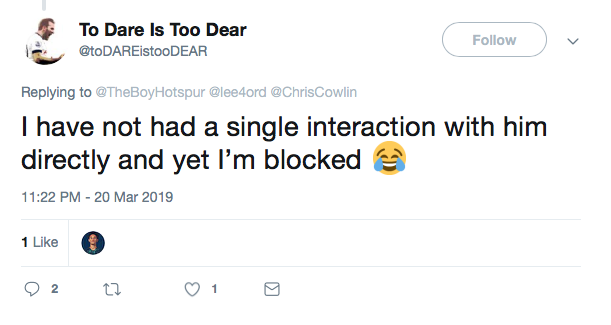 Obviously Chris is perfectly within his rights to block whomsoever he chooses. Blocking people is a good thing. After all, we all have locks on our doors and windows, to keep out people we don’t like, don’t we? Maybe there’s a perfectly reasonable explanation for all this. I’d be pleased to hear it.